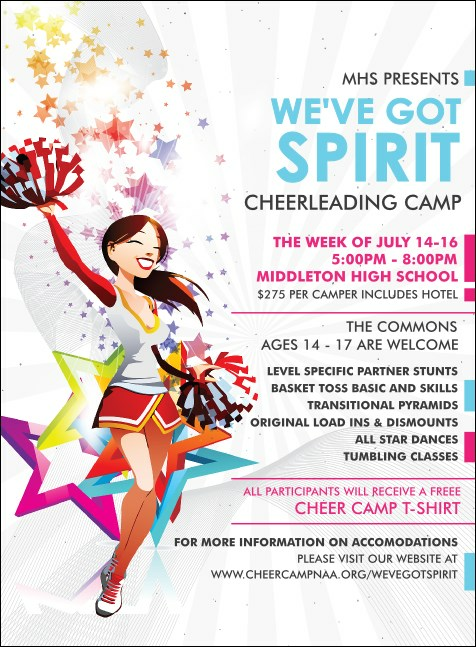 Perfectly execute your promotional moves and help your ticket sales extend to the sky when you print Cheerleading Spirit Invitations and send them out in advance. These adorable Invitations feature an excited cheerleader with red and white pom poms cheering on her team and leaving a trail of beautiful colored stars behind her. TicketPrinting.com helps you get the crowd riled up.